Where the six o'clock swill generation congregated around frosty beer taps, Sydney taps are now running hot with caffeine. 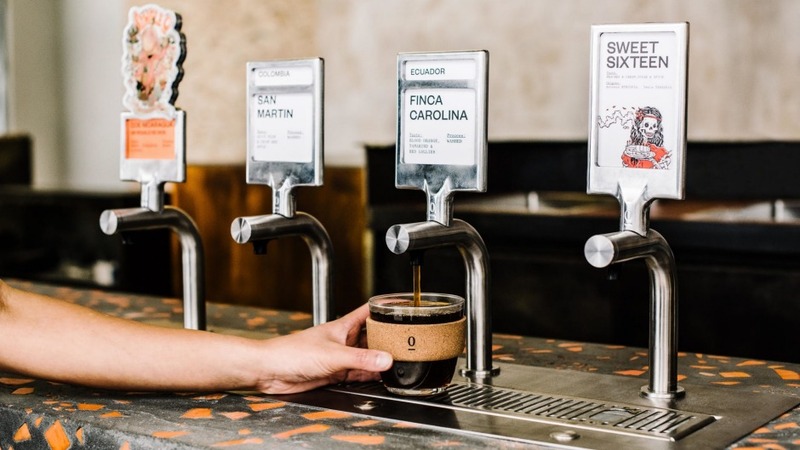 The newly redesigned and reopened Single O in Surry Hills has installed what it says is a world-first, self-serve batch brew prototype. Pour-your-own coffee isn't new. American diners have been pushing the airpot for decades. But Single O lets customers decide between, say, Ethiopian, Colombian and Kenyan coffee in the same way bar customers might choose a craft beer. Single O points to black coffee consumption in their cafe rising from 2 to 3 per cent of sales in 2003, to 23 per cent today. Just be ready to DIY. Open Mon-Fri 6.30am-4pm, Sat 7.30am-3pm, Sun 8am-3pm.